Fr. Chris Alar shares information of the upcoming Divine Mercy Sunday. Also, Joan Lewis with Vatican news. Teresa and her guests share their Catholic perspective on the day's news and newsmakers. Preparing for Holy Week with Dr. Edward Sri. 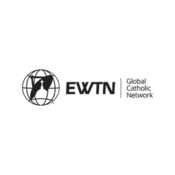 The Inside Word at EWTN radio and television with Doug Keck. Stephen Auth is author of "Missionary of Wall Street: From Managing Money to Saving Souls on the Streets of New York." John Bursch from Alliance Defending Freedom on religious freedom cases in the courts. Lyt til Catholic Connection, Blessed2Play og mange andre stationer fra hele verden med app'en radio.dk.